The following individuals and institutions are collaborating with Diana Campbell Betancourt and the DAS team to realize Seismic Movements: Dhaka Art Summit 2020. Bishwajit Goswami is a faculty member at the Drawing & Painting Department of the Faculty of Fine Art, University of Dhaka, Bangladesh. As an artist, he maintains a visual language in constant flux, and strives to create new approaches and ideas through other mediums. He exhibited in several international forums such as the Dhaka Art Summit (2016, 2014, 2012); the Asian Art Biennale of Bangladesh (2014, 2012, 2010, 2008); the Beijing International Art Biennale (2015, 2012); the Kunming Art Biennale, China (2014, 2006, 2018); the Setouchi Triennial Japan 2013. Among his major solo shows are: 'In Motion' held in 2015 at Bengal Art Lounge, Dhaka, Bangladesh; 'Gaea' held in 2016 at Yunnan Arts University, China; 2017 as well as his show at Rathaus, Murau, Austria. Among his recent curation projects are 'BRIHATTA/IMMENSITY', a 4 month long open studio based around a student art project and 'BINDU BISORGA' at the 18th Asian Art Biennale, Bangladesh (2018). 'GUDSKUL: contemporary art collective and ecosystem studies' (or Gudskul, in short, pronounced similarly like “good school” in English) is a public learning space established by three Jakarta-based art collectives: 'ruangrupa', 'Serrum' and 'Grafis Huru Hara'. All three have actively immersed themselves into the contemporary art realm since the early 2000s, by practicing a collective and collaborative mode of working. In 2015, they further collectively formed an co-ecosystem, to practice an expanded understanding of collective values, such as equality, sharing, solidarity, friendship and togetherness. Reza Afisina studied cinematography—specifically sound recording for film and documentary features—at Jakarta Institute of the Arts, Indonesia (1995–99). He is a member of the Jakarta-based artists’ collective ruangrupa (est. 2000), a nonprofit organization focused on supporting art initiatives in an urban context through research, collaboration, workshops, exhibitions, and publications. He served as the program coordinator for ruangrupa from 2003-07 and has been the artistic director of their ArtLab since its inception in 2008. Farid Rakun is trained in architecture (B.Arch from University of Indonesia and M.Arch from Cranbrook Academy of Art), Farid Rakun wears different hats. As a part of the Jakarta-based artists’ initiative ruangrupa, he has served the functions of writer, editor, designer, artist and curator. Recently he has been appointed to be the Director of Jakarta Biennale. The Otolith Group (Kodwo Eshun and Anjalika Sagar) is a London-based collective initiated in 2002, who work with film, video, lecture performance, and publications. Their research based projects combine narrative, archival material, and documentary footage, with an interest in futurity, speculative,science fiction, and geology. Eshun studied English Literature at University College, Oxford (1985– 8). Sagar studied Anthropology and Hindi at the School of Oriental and African Studies, University of London (1994–7). The collective have had numerous solo presentations, including: 'In the Year of the Quiet Sun', Bergen Kunsthall (2014); 'Thoughtform', MAXXI, Rome/MACBA, Barcelona (2011–12);'A Lure a Part Allure Apart', Bétonsalon, Paris (2011). The Otolith Group has exhibited in the Sharjah Biennale (2017); Endless Shout, Institute of Contemporary Art, Philadelphia (2017); Documenta 13 (2012); New British Art, Tate Triennial, London (2006). The Otolith Group were nominated for the Turner Prize in 2010. Para Site is Hong Kong's leading contemporary art centre and one of the oldest and most active independent art institutions in Asia. It produces exhibitions, publications, discursive, and educational projects aimed at forging a critical understanding of local and international phenomena in art and society. Founded in early 1996 as an artist run space, Para Site was Hong Kong's first exhibition-making institution of contemporary art and a crucial self-organised structure within the city’s civil society, during the uncertain period preceding its handover to Mainland China. 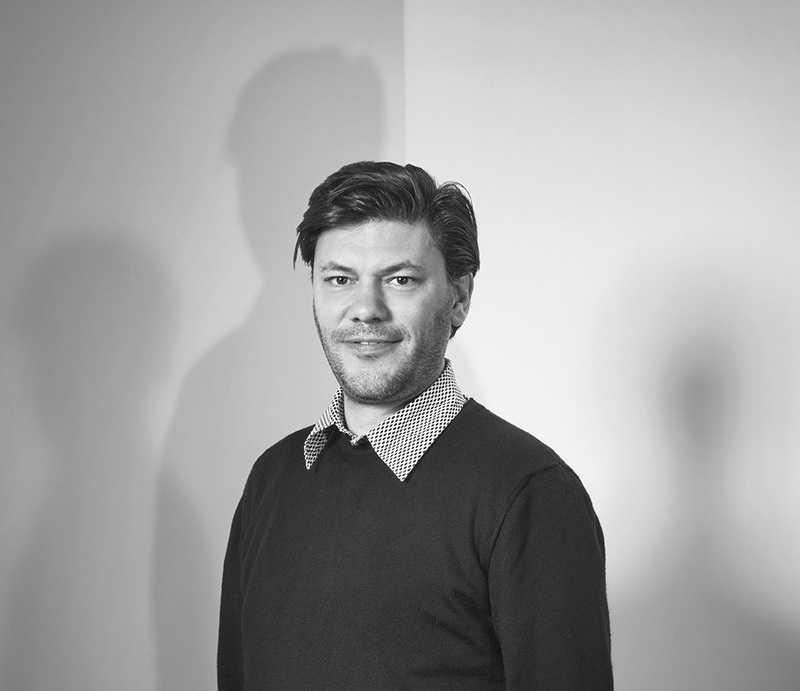 Cosmin Costinas is the Executive Director and Curator of Para Site, Hong Kong since 2011. He was Guest Curator at the Dakar Biennale 2018, Curator at Dhaka Art Summit 18', Co-curator of the 10th Shanghai Biennale in 2014, Curator of BAK-basis voor actuele kunst, Utrecht (2008-2011), Co-curator of the 1st Ural Industrial Biennial, Ekaterinburg (2010), and Editor of documenta 12 Magazines, documenta 12, Kassel (2005–2007). At Para Site, Costinas oversaw the institution's major expansion and relocation to a new home in 2015, and curated the exhibitions: ‘An Opera for Animals’ (with Claire Shea, touring to Rockbund Art Museum, Shanghai in 2019; 'A beast, a god, and a line’ (toured at Dhaka Art Summit ‘18, TS1/The Secretariat, Yangon, and Museum of Modern Art in Warsaw, 2018); ‘Soil and Stones, Souls and Songs’ (with Inti Guerrero, toured at MCAD, Manila and Jim Thompson Art Center, Bangkok, 2016-2017); ‘Afterwork’ (with Freya Chou, Inti Guerrero, and Qinyi Lim, toured at ILHAM, Kuala Lumpur, 2016-2017 and GARAGE Museum of Contemporary Art, Moscow, 2019-2020); ‘A Journal of the Plague Year’ (with Inti Guerrero, toured at The Cube, Taipei; Arko Art Center, Seoul; and Kadist Art Foundation and The Lab, San Francisco; 2013-2015) a.o. Philippe Pirotte is an art historian and curator. He is the Dean of the Staatliche Hochschule für Bildende Künste Städelschule and Director of 'Portikus' in Frankfurt am Main. Next to that he serves as Adjunct Senior Curator at the UC Berkeley Art Museum and Pacific Film Archive, and as visiting professor at the Nanyang Technological University in Singapore. In 1999, he co-founded the Antwerp contemporary art center objectif-exhibitions, and from 2005-2011 he was director of Kunsthalle Bern in Switzerland. From 2004 to 2013, Pirotte held the position of Senior Advisor at the Rijksakademie for Visual Arts in Amsterdam. He was curator of the 2016 edition of La Biennale de Montréal, entitled Le Grand Balcon, and in 2017 was member of the curatorial team of the Jakarta Biennale. RAW Material Company is a center for art, knowledge and society based in Dakar, Senegal. It is an initiative involved with curatorial practice, artistic education, residencies, knowledge production, and archiving of theory and criticism on art. It works to foster appreciation and growth of artistic and intellectual creativity in Africa. The programme is trans-disciplinary and is equally informed by literature, film, architecture, politics, fashion, cuisine and diaspora. Dulcie Abrahams Altass is a Dakar-based British art historian and curator. She read History of Art and French at University College London where she was the recipient of the Violet Hall prize for academic achievement. She is Curatorial Assistant at RAW Material Company where she was recently co-curator of the exhibitions 'The revolution will come in a form we cannot yet imagine', with Zahia Rahmani, and 'Toutes les fautes qu’il y avait dans le monde, je les ai ramassées', with Koyo Kouoh. Her work in Senegal has included research on diverse topics ranging from the country’s performance art history to the nexus of hip hop and contemporary art in Dakar. She has also been a member of Dakarois artist’s collective 'Les Petites Pierres' where she curated the multi-stage project 'Ndawi tey; Fecc rekk?' with photographer Nina Manandhar. Koyo Kouoh is the founding artistic director of RAW Material Company. For Carnegie International (2018), Kouoh participated with the exhibition 'Dig Where You Stand'.She recently co-curated 'Saving Bruce Lee: African and Arab Cinema in the Era of Soviet Cultural Diplomacy' at Haus der Kulturen der Welt in Berlin. Previously, she was the curator of 1:54 FORUM at the Contemporary African Art Fair in London and New York, and served in the curatorial teams for documenta 12 (2007) and documenta 13 (2012). Kouoh was the curator of 'Still (the) Barbarians', 37th EVA International (2016) and has curated numerous exhibitions internationally as well as published widely including 'Word!Word?Word! Issa Samb and the undecipherable form' (2013); 'Condition Report on Building Art Institutions in Africa' and 'Chronicle of a Revolt: Photographs of a Season of Protest' (2012). Besides running the theoretical, exhibition, and residency program at RAW Material Company, she maintains a critical curatorial and advisory activity and regularly takes part in juries and selection committees internationally. Marie Hélène Pereira graduated in Management and International Business Law. After a few years of work within the business world, she shifted her professional interest to arts and culture. As Programming Curator at Raw Material Company, Pereira has organized a dozen of exhibitions and related discursive programs including the participation of Raw Material Company to 'We face forward: Art from West Africa Today' Whitworth Art Gallery, Manchester; ICI Curatorial Hub at TEMP, New York; The 9th Shanghai Biennial, Shanghai; MARKER Art Dubai (2013). She co-curated 'Scattered Seeds' in Cali-Colombia (2015-2017) and curated 'Battling to normalize freedom' at Clarkhouse Initiative in Mumbai, India (2017). Pereira was a co-curator of 'Canine Wisdom for the Barking Dog - The Dog Done Gone Deaf. Exploring The Sonic Cosmologies of Halim El-Dabh' at the 13th edition of Dakar Biennale of Contemporary African art (2018).She has a strong interest in the discourse and reflexion around identity and migration. Kehkasha Sabah is an Independent Curator, Visual Artist and Researcher based in Dhaka, Bangladesh. She is Assistant Curator, Collectives Platform at DAS. She has completed her BFA and MFAfrom Faculty of Fine Arts, University of Dhaka, with her academic thesis paper- ‘Contemporary Curatorial Practice and Praxis: Bangladesh’. Through her practice she expresses contemporary art, new media and art curation focusing on socio-political issues like cultural taboos, identity, body and space. She received Talent Recognition Award by Society for Promotion of Bangladesh Art in 2019 for being the country’s first female curator. Sabah received a travel grant from Samdani Art Foundation to attend the Annual Conference of CIMAM ‘Museum in Transition’ 2018 in Sweden and gained a yearlong membership at CIMAM. Between 2015-17 she was the curator of Kalakendra, Dhaka. She is one of the founding members of Art Lab Dhaka. She received Honourable Mention Award for her Curatorial research project in ‘Gonesh Haloi Young Researcher Grant 2017’, from Bengal Arts program. She is the former Art-lead Program Manager in Depart Magazine. Kathryn Weir is the founder of ‘Cosmopolis’, a platform for activities ranging from residencies to exhibitions, structured around biennial research themes and engagement with multidisciplinary collaborative practices at the Centre Pompidou. The platform constructs bridges between new forms of creative experimentation and critical vocabularies from contemporary theory, and between reconceived geographies and histories.Other past curatorial projects include ‘Tracey Moffatt: Spirited’ (2014-2015), ‘Sublime, Passages to the Infinite’ (2014-2015), and ‘Action, Hong Kong Style’(2013). She was one of the curators of the 5th, 6th and 7th Asia-Pacific Triennials between 2006 and 2013. Her published books and exhibition catalogues include 'Read My Lips: Jenny Holzer, Barbara Kruger, Cindy Sherman' (1998), 'Modern Ruin' (2008), 'The View From Elsewhere' (2009), 'Sculpture is Everything' (2012), and 'Gorilla' (2013). Her other writings address the works of contemporary artists including Cabello/Carceller, Inci Eviner, Shilpa Gupta, Clarisse Hahn, Romuald Hazoumè, Ho Tzu Nyen, MadeIn, Aernout Mik and Lee Mingwei. Mustafa Zaman received his Bachelor of Fine Arts from the Institute of Fine Arts, University of Dhaka. Trained as a printmaker, he soon veered into multidisciplinary practice turning his attention to contemporary human condition often observed in relation to the instruments of power. Zaman held solo shows at the Zainul Gallery, Institute of Fine Arts (2000); at the Bengal Gallery of Fine Arts (2010); and at Alliance Francaise (2010). His most recent multimedia installations and interactive pieces were presented at Bengal Lounge in 2013, at a duet exhibition with fellow artist Rafiqul Shuvo, under the title 'Automated Subjectivity'. In 2016, Zaman presented a solo exhibition at the Dhaka Art Summit cast around his photographic re-interpretation of found images. Zaman was editor of Depart, an art magazine that ran from 2010 to 2017. His major curatorial efforts include CrossOver (2011-2012), two back-to-back workshops and exhibitions; two solo exhibitions in 2013 including 'DeReal' by Bahram; and 'Gravity Free World' by artist A Rahman; a retrospective exhibition in 2014 entitled 'In(site)' by Kazi Salahuddin Ahmed. Zaman is now chief curator at Dwip, a gallery based in Dhaka.